Is Thiem really the “Prince of clay” or does Nadal just have a matchup problem with him? Thiem is actually pretty inconsistent on clay, so does Nadal have a matchup problem with him (in BO3) or is he really living up to all the hype? He is the next King of Clay. 2019 Roland Garros champion. I don't think he has any matchup advantage or disadvantage with Nadal. Ned tanked in Rome last year and had an off day in Madrid this year. And the other win came in 2016. Thiem didn’t get close to taking a set off of Nadal at RG in the last two years. He's fairly consistent but the "prince of clay" moniker was bestowed to him just to make it seem like clay has competition. He hasn't even been able to push Nadal to a 7-5 set at RG. Thiem is the jester of clay. Madrid this year convinced me. Um, Thiem just bagelled The Nadal at USO and still lost the match. This is as much a "matchup issue" as Fedal was: massive flattery to the loser who clearly has a psychological issue with The Nadal. A distant second is the actual matchup issues where Thiem needs to redline his game at a very low margin to push The Nadal. Thiem's best average level simply isn't good enough. How much of that is stupidity, poor shot selection, stubbornness and choking as opposed to a lack of ability is irrelephant. That USO match they just played is a rare match, demonstrative of many things including Thiem actually forgetting how to play and succeed against a player after just bagelling him. Tennis (and life) rarely rewards that level of idiocy. He is the next King of Clay. 2019 Roland Garros champion. There will never be a "next" King of Clay. No player is winning RG eleven times again. 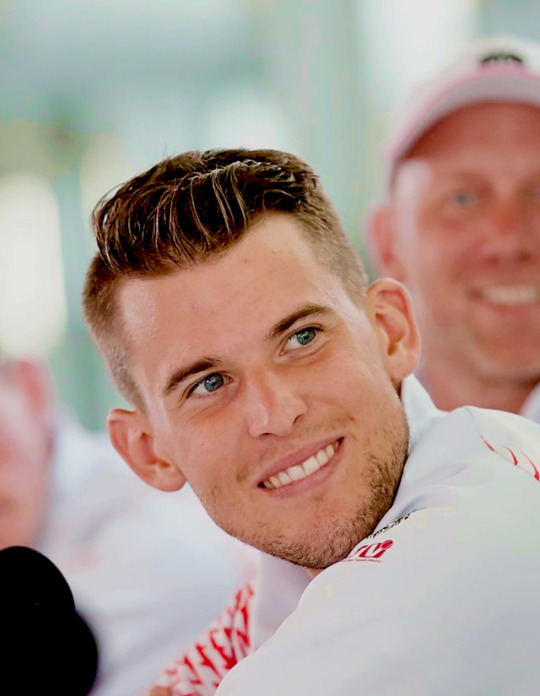 So even if Thiem (by some miracle) manages to win 5 or 6 RG's, he is not and never will be the "King of Clay." Only one guy in the history of the sport lays claim to that title. Muster was called "King of Clay" even though he had won only one RG.